By adopting composting at home and by utilizing Western’s organics collection services when on campus, you can help reduce the size of landfills and reduce the amount of pollutants entering the air we breathe. Western has two different composting/organics collection systems. Listed below are all of the ways you can dispose of your organic waste at Western. 1) Many kitchens on campus have compost bins behind the scenes. They dispose of all pre-consumer food waste here, which is all of the scraps generated during food preparation. 2) If you’re living in a residence with a kitchen, you can save your food scraps from eating either in the cafeteria or in your room, and dispose of them in the “Organics” stream in the cafeteria. You can throw paper products in this stream too, such as napkins, tissues and paper plates without wax linings. If waste disposal is done back in the kitchen, you can leave all your compostables on a tray to be sent back to the kitchen. 3) Eat at the UCC Center Spot, the UCC Starbucks, Social Science Starbucks & Tim Horton's or in the Support Services Building. There are publicly accessible compost bins here! There is also a handy sign that displays which items are compostable. 4) If you have an office on campus or are in a program that has the majority of classes in the same room, enquire about receiving a small green bin for food waste. All we ask is that you are willing to take your small bin waste and discard it in one of the publicly accessible compost bins. 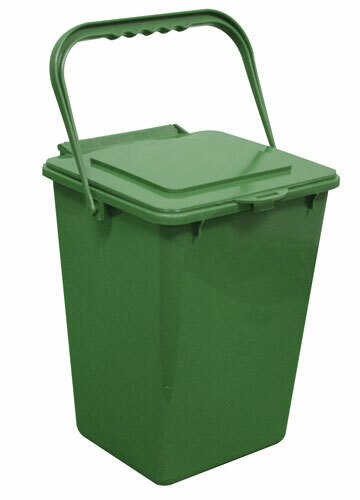 To request a green bin for your office or classroom email sustainability@uwo.ca. Paper products without wax lining (For example, Pizza Pizza’s cardboard trays, Harvey’s French fry containers, napkins, tissues, etc.). Paper can be soiled. Western is attempting to become a Zero Waste Campus. This means that we are aiming to divert 90% or more of the University’s waste away from landfill either by recycling or composting. If staff, students and faculty all did a little bit more composting on campus, this could greatly help reduce the amount of waste that Western sends to the landfill each year. Reduce your impact on the environment and help Western reach its goals!